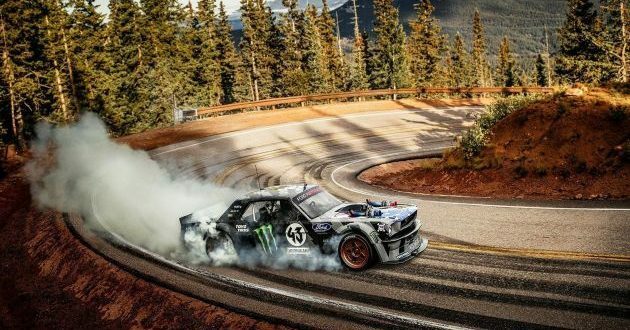 Ken Block returned, and this time, his modified Hoonicorn car passed on the rise of the Pikes Peak. However, he did not set a new record, but is a real pleasure to watch what he does with his machine. His car, a modified Mustang named Hoonicorn, never missed the power thanks to the Roush-Yates V8 engine of 6.7 liters, producing 845 horsepower and 975 Nm of torque. However, the latest model of this modified drift machine now has two turbochargers with exhaust pipes that flow from the hood, and it is powered by methanol. The result of this modification is the production of 1,400 horsepower. Ken Block, for his automobile, said he felt like he wanted to kill him. He added that the car was fun to drive and before adding turbochargers, but now the speed is moving incredible. 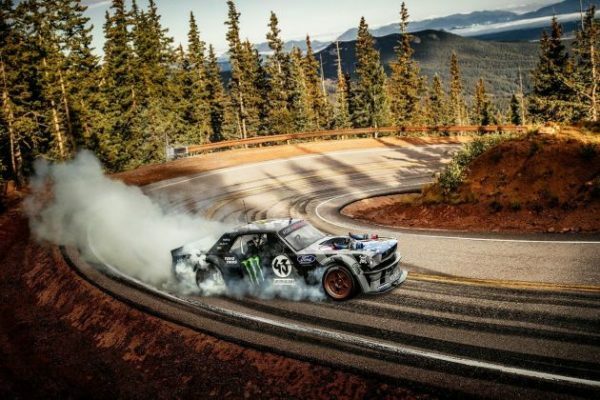 What would it be like, that Ken Block would not take full advantage of drifting as it climbed the Pikes Peak.